Jessie did more study on math and science questions because she got way more material on these subjects than on American history. The reason is not hard to figure out why—because most students in this country must be “proficient” in math and science to pass the proficiency tests given to them before they can go to the next grade. So in all of this, American history gets a low priority. This is very, very troubling to me because according to one study, as many as one-third of all native-born Americans would fail a U.S. citizenship test. This is horrible. If so many Americans cannot pass a U.S. citizenship test, then what does that say for this country? In a Marist poll on when the Declaration of Independence was signed, 42 percent of all Americans did not know the answer. In a poll conducted by the U.S. Mint, only seven percent of all Americans could name the first four presidents of the United States. They were George Washington, John Adams, Thomas Jefferson, and James Madison. 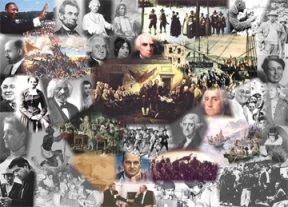 Twenty-six percent of all Americans did not know what country the United States fought against in the American Revolution, and 80 percent of all Americans do not know who was president of the United States during World War I (Woodrow Wilson). If Americans are virtually illiterate about our own history, then how on earth will Americans understand countries like Afghanistan, Ukraine and Russia where history is everything and plays a significant role in what is happening in those countries? I am afraid a saying by the well-known automobile maker Henry Ford said it best when he declared that “history is bunk.” Sadly, this is what too many Americans seem to think, and why so many immigrants who studied to become U.S. citizens know American history way better than native-born Americans. I for one will not let my niece Jessie fall through the cracks. I will start helping her learn more about this historically and culturally rich country.